When it’s icy and freezing and miserable, we will be here, ready to get you the supplies you need to face winter’s harshest conditions. Whether you’re anticipating a winter storm or you’re in the middle of one, you can call us to see what we have in stock for ice melt, wood pellets, shovels, heat tape, and more. We’ve all been through quite a few Wisconsin winters, and we’ll get through this one too. We are very excited to be able to stock Googan Baits in our Portage location. Googan Baits are packages of baits that were made by and promoted by the Googan Squad, a popular YouTube channel. You can learn more about Googan Baits by stopping in to the Sporting Goods Department at Portage Ace Hardware or by checking out the Googan Squad’s channel. 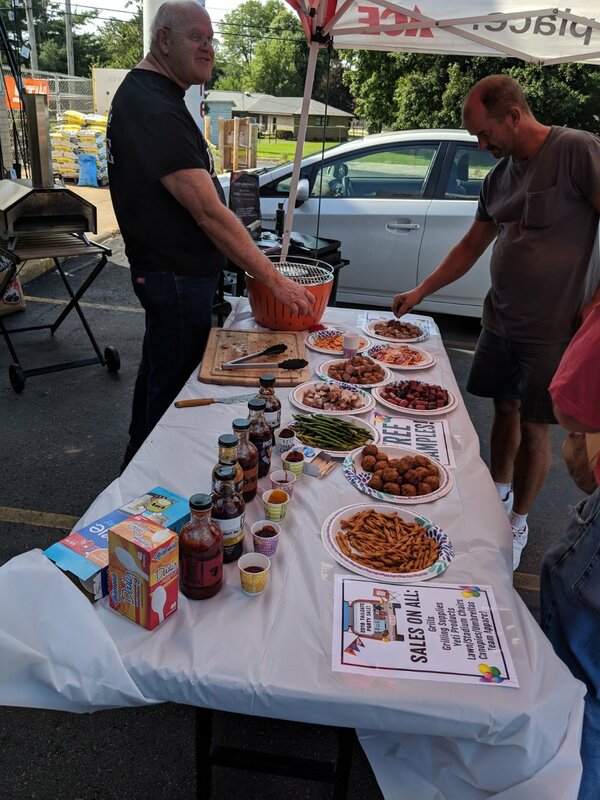 We had our First Tailgate Party Sale in the RC store last weekend to kick off football season. Thank you to everyone who attended the event and made it a success! At Sportsland in Ace of La Crosse, we have a full selection of deer plot seed and archery targets. No matter what your fall sporting good needs are, we are here to help. Ace Announced the 2019 Color of the Year. It is "Pineapple Cream Granita" by Francine C. at Costello's Ace Hardware. You can get Pineapple Cream Granita and the six runners up at any of our four stores. As we wrap up greenhouse season, we are putting our plants and statuary on sale! Statuary is 30% off, Perennials are 50% off, and Annuals, Veggies, and Hanging Baskets are 75% off! This sale is in the Richland Center store only. Now two of our stores are on Instagram! 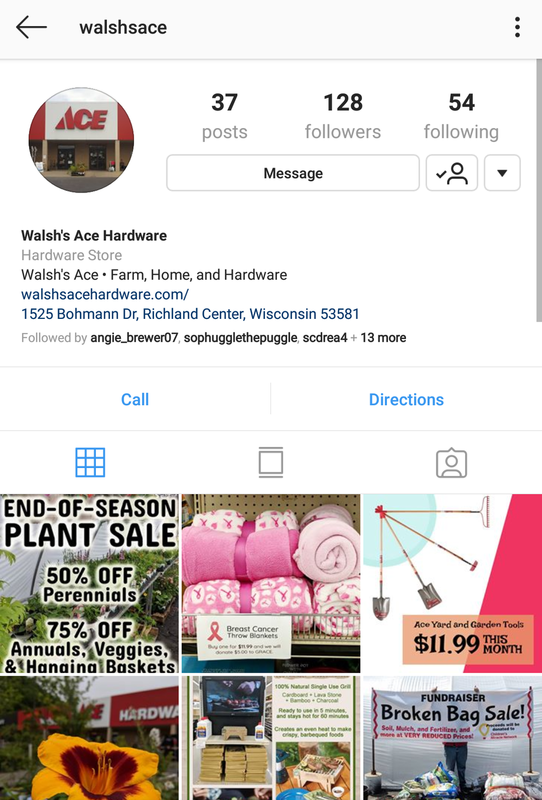 You can keep up with new items, sales and events in the Portage store by following us at instagram.com/portageacehardware, or in the Richland Center store by following instagram.com/walshsace. We have big plans for product reveals and Instagram-exclusive sale prices, so stay tuned! 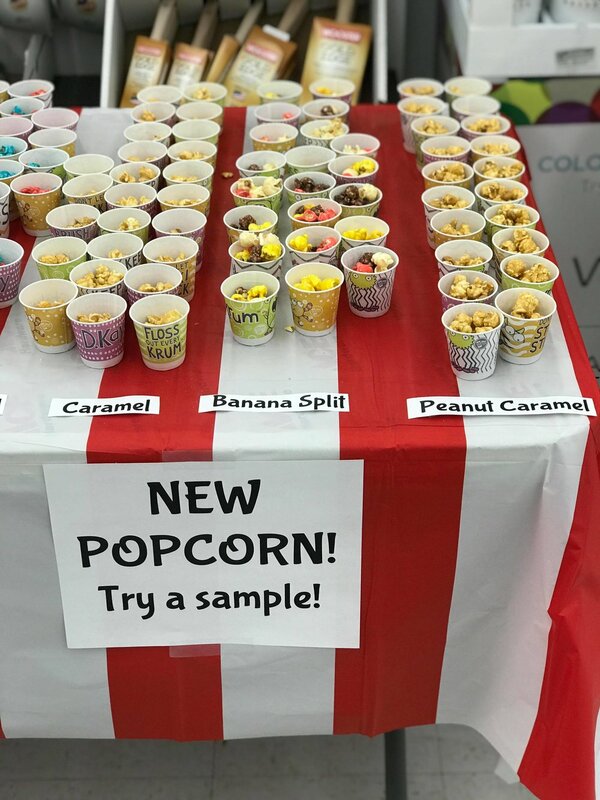 Our 2018 Spring Flings were a success! Thank you to everyone who attended our Spring Flings this year. 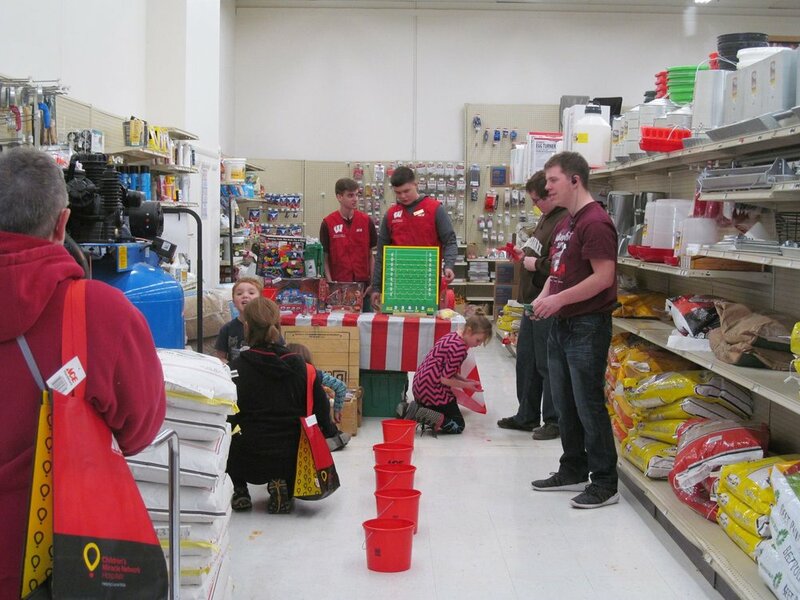 We held the events in our La Crosse, Portage, and Richland Center stores. 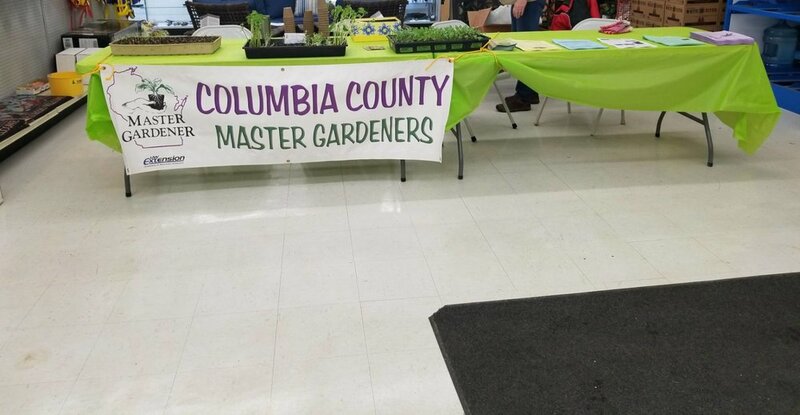 We had a great time learning from our vendors and doing springy activities. Ace of La Crosse was honored to be one of the stops on Ace's JD Power Tour. 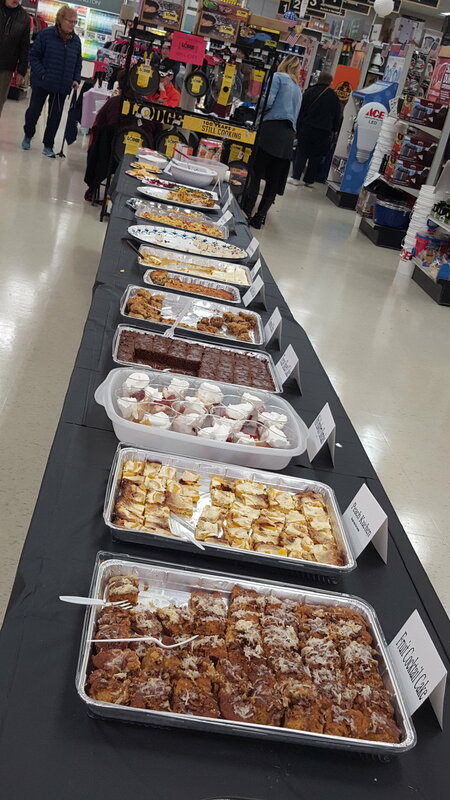 They brought all of their trophies to our store for a customer appreciation event last wednesday. 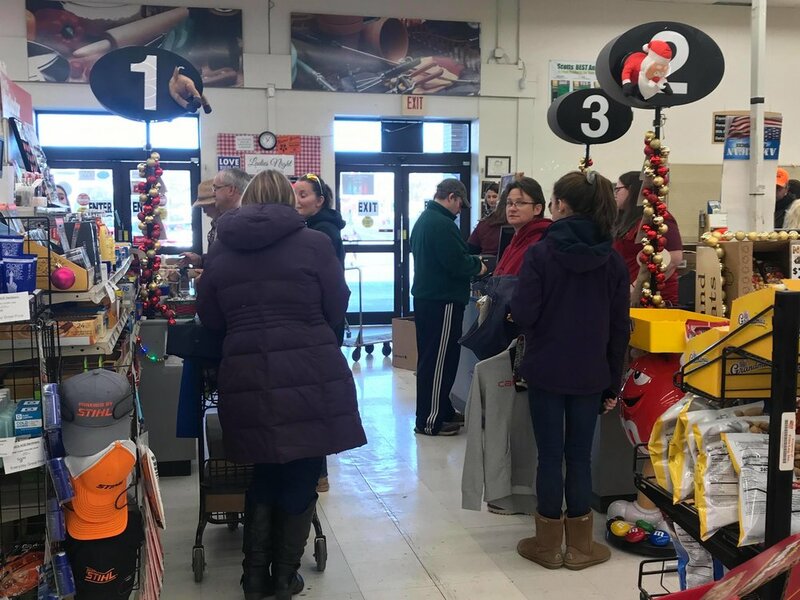 Ace Hardware has ranked “Highest in Customer Satisfaction with Home Improvement Retail Stores” for eleven years in a row. 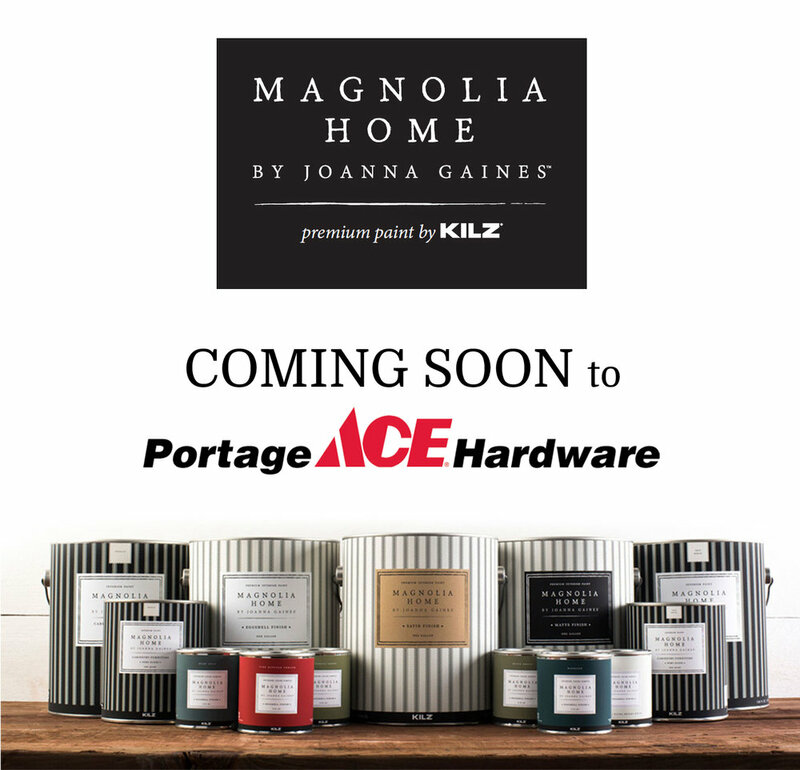 We are super excited to announce that we will be selling Magnolia Home by Joanna Gaines! 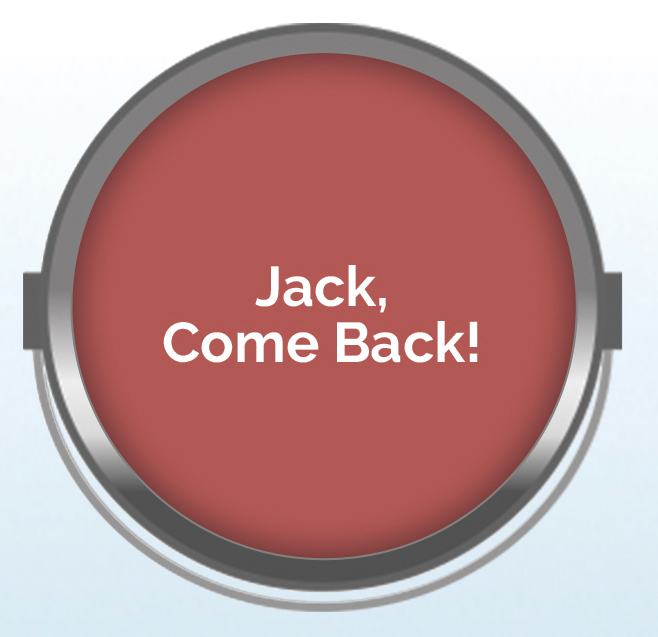 It will arrive at our store next month, so if you have a paint project coming up, keep Magnolia in mind! 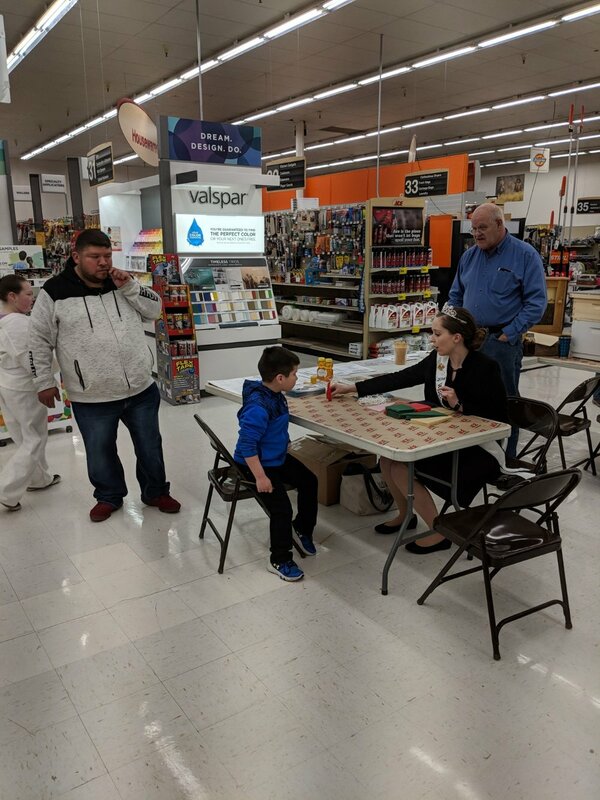 We have so many people to thank for the successful auction we had at our RC store on Saturday. We got rid of a lot of old products to make room for new and to donate some money to deserving charities. Thank you to Wilkinson Auctions for helping organize the event and for running the auction. Thanks to the Richland Center American Legion Auxiliary for running a food stand at the event. And thank you to our customers and community members for coming out in full force to make it a full-parking lot success. Walsh's Ace in RC and Ace of La Crosse teamed up with Valspar to paint the Cazenovia American Legion. Two employees from RC and two from LAX worked with Tiffany, a Valspar rep from Chicago for two days. With a fresh coat of Valspar paint and some improvements to the doors, the Caz American Legion Hall is looking better than ever! Ace is proud to sell a Hero Clean, a new line of products. Hero Clean was developed with two things in mind: the touch messes men can make and the desire to support our veterans. 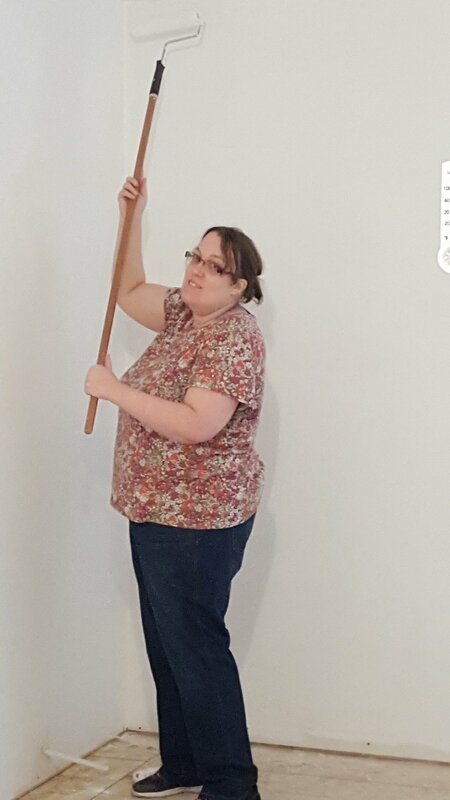 The result was a line of tough cleaning products, from laundry detergent to odor eliminating spray. 7% the Hero Clean company's profits are donated to the Iraq and Afghanistan Veterans of America. These six Hero Clean products are sold in all four of our stores, so stop in and give them a try. THANK YOU to everyone who took names from our Pine Valley Giving Tree this year. Your time and gifts are so appreciated! 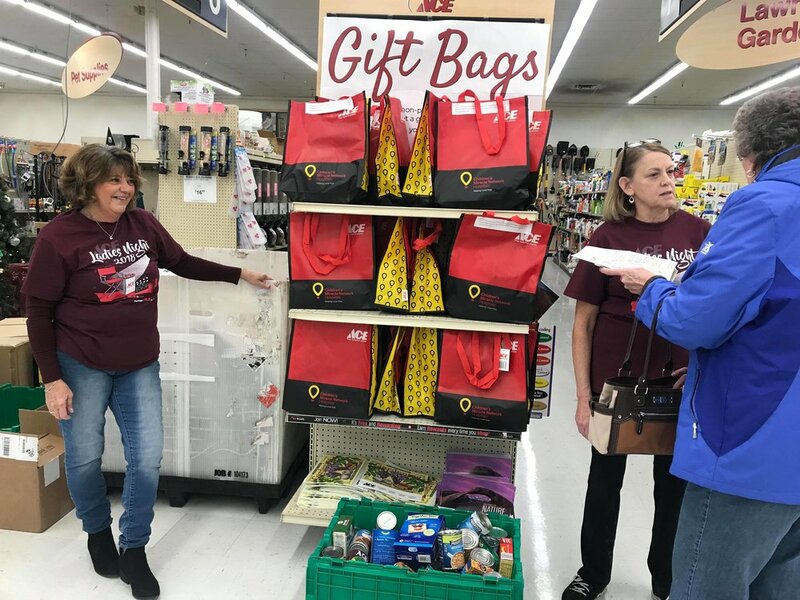 The residents of Pine Valley will all receive Christmas gifts this year because of the generosity of community members. 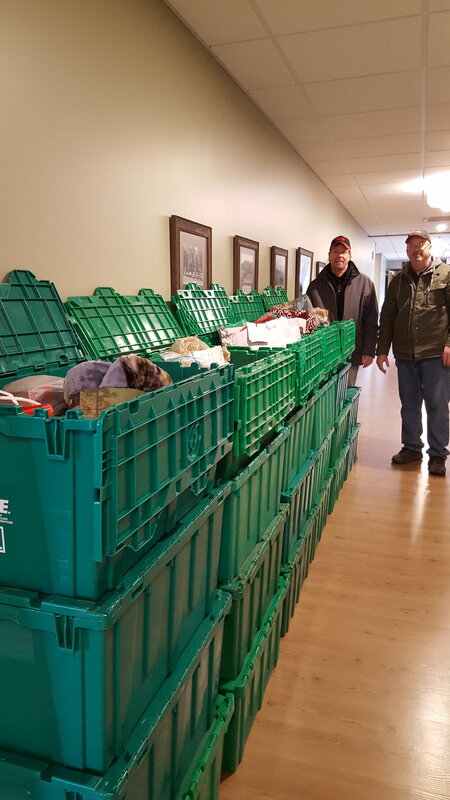 This Monday, two of our Business-to-Business salesmen, Greg Noble and Paul Kroetz, delivered totes full of gifts and carts full of birdseed to Pine Valley. The birdseed will be used to keep birds visiting the feeders that the Pine Valley residents enjoy watching. Richland Center's 2017 Rotary Lights in the Park is up and running, and it's quite spectacular. Our RC store set up a tree in it again. We hauled our Helpful Santa and all the tree trimmings out of storage, and we are very proud of how it turned out! The Rotary Lights is a great local event, so be sure to support it if you can! And let us know what you think of our tree! We would like to truly thank all of our customers, vendors, and staff for another successful year of Ladies Night events. All three (LAX, RC, Portage) events were fun and successful. It was a great way to kick off the holiday season, and we're already looking forward to next year! 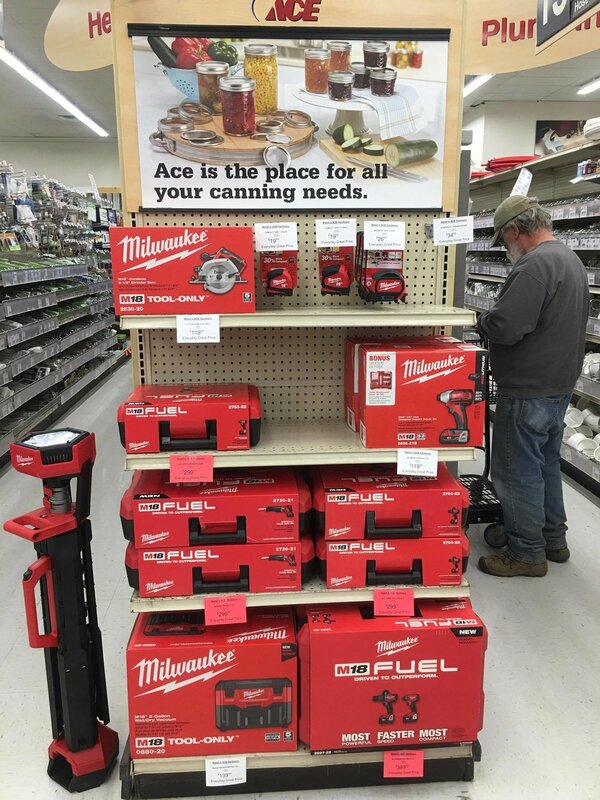 Our Richland Center store had our annual Milwaukee Days Sale on Thursday, with a Milwaukee rep, great Milwaukee tool sales, and free pizza. Thanks to everyone who came and made the event a success!! New Items in RC: Loofah Bars, Bath Bombs, and More! 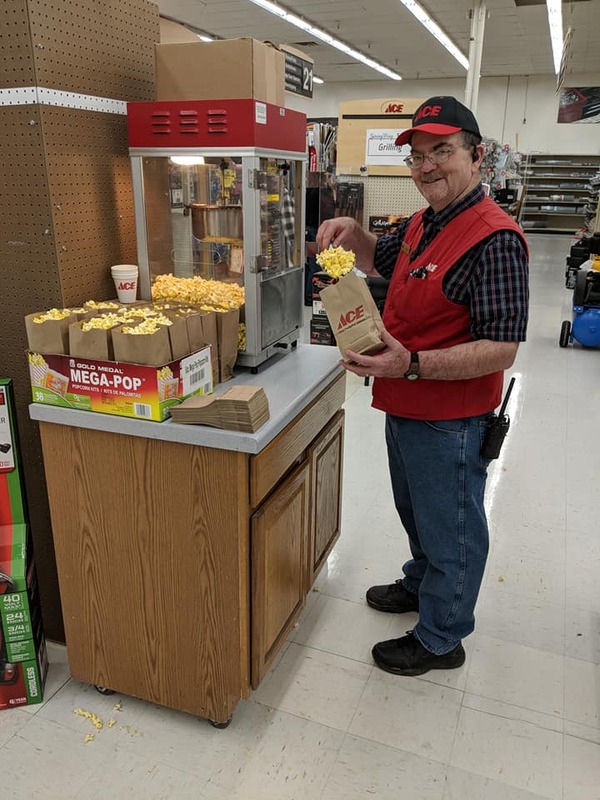 If you've walked into Walsh's Ace in Richland Center in the past week, you might have noticed it smells a little sweeter. 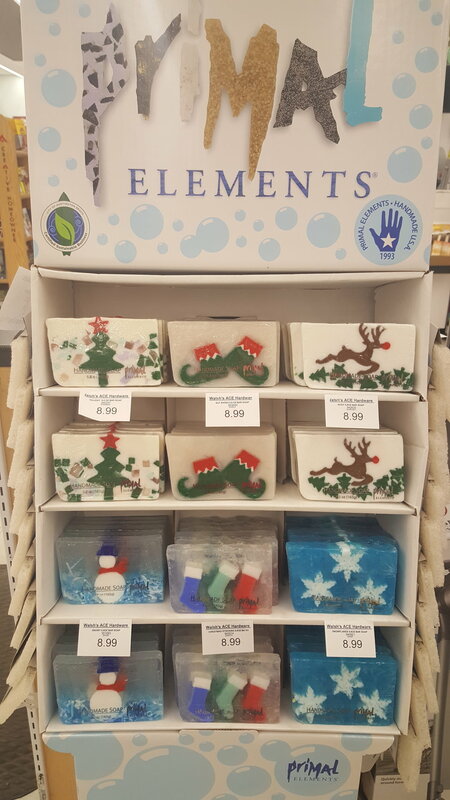 We're now selling bath bombs, loofah bars, hand made soaps, and holiday bar soap.